Our goal at Blitz Pharmacy is to provide you with fast, friendly, professional, hometown service for all your prescription needs. Locally owned and operated, we have developed a reputation for providing service beyond the commonplace. Our staff invites you to come experience the excellent service we provide our customers. We’re located next door to the Big Flats Fire Department in Big Flats, NY. We hope to see you soon! 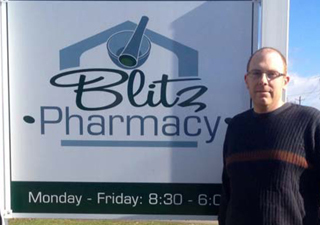 Jason Blitz, Owner and Pharmacist in Charge, grew up in Elmira and attended Notre Dame High School. He then attended Albany College of Pharmacy and Health Sciences. Upon graduating in 2002, he accepted a position with Rite Aid in Elmira. In 2003, Jason moved to the Big Flats area where he still resides with his wife, Heather, and three children, Alexia, Jenna, and Amelia. Blitz Pharmacy opened in November of 2013. As the only pharmacy in the town center area of Big Flats, we continue to provide our customers and patients with outstanding customer service and personalized,"small town" attention. We are here to help you. Whether it is just a smile and a thank you or a call to your doctor to help save you some money or get more refills, we strive to treat everyone that walks through our doors like family. If you want to be in and out in less than 10 minutes or want to hang around to talk a while, we are here for you. Just remember that your first visit might take a little longer as we will have to collect all of your insurance information and learn about any existing medical conditions you may have. 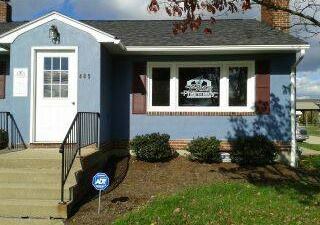 Prescriptions can be delivered to locations within 5 miles on Tuesdays, Thursdays, and Fridays. Please call us with your refill requests the day before. If a prescription is needed the same day, we will do our best to accommodate your request. We accept most prescription insurance plans. If you'd like please call us, or stop by the pharmacy, to find out if we accept your specific plan. We can also offer you a price quote pertaining to your specific plan. The front end section of the pharmacy includes cough and cold medications, vitamins, herbal supplements, pain relievers, bandages, and other personal care items. If there is something that you are looking for and cannot find, just ask and if we can get it then it will be here the next day. Feel free to ask any questions about prescription medications, over-the-counter medications, disease states you may have and we'll be glad to help however we can. If we don’t know the answer immediately we will do our best to find the answer for you in a timely manner. 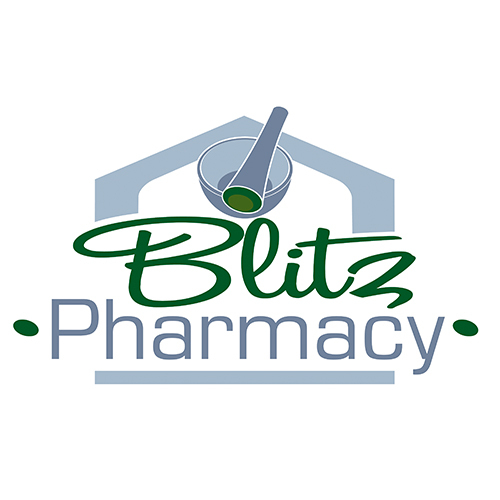 For your convenience, Blitz Pharmacy offers online prescription refills. To submit your refill simply fill out the form below and click the submit refills button. Our staff will process your request and let you know when your order is ready. Fields marked with an (∗) are required. We are here to assist you! Please use the form below to submit general questions about the products or services Blitz Pharmacy provides. If you have specific questions about medications or health conditions, it's best that you contact us via telephone, rather than online. Please note that all fields in the contact form are required. We do not use an SSL certifiBlitz because we do not collect payment information such as credit cards, nor do we collect information such as social security numbers. Site policy was last updated on January 15, 2018.